iPhone 4 color conversions have been a popular phenomenon ever since the delay of the white iPhone 4 and today it appears that Apple is taking a stab to stop these conversions from occurring. This process may have even begun last week when we reported that Apple may behind the removal of several white iPhone sales on the bidding site eBay. The ease of black to white iPhone 4 color conversions lies on the user being able to remove the iPhone 4’s screws from the bottom of the device. The screws on the bottom of the iPhone 4 were fairly simple to remove and this allowed for quick front and black plating color conversions. 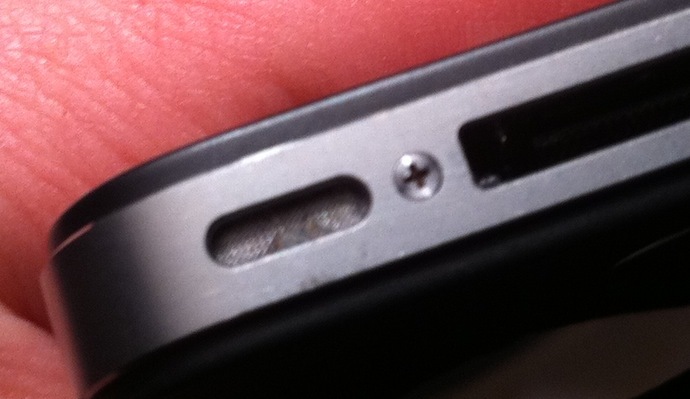 Now, it appears that Apple is replacing their original iPhone 4 screws with something much tougher to unscrew, Torx. The Torx type of screw is known to prevent tampering and is fairly difficult to unscrew. Apple’s latest MacBook Airs even feature the Torx screw-type due to the extremely fragile batteries the device carries. Additionally, some internal sources have let us know that this is in fact a new Genius Bar policy. What is very interesting about what is going on here is that Apple’s promotional images since the iPhone 4 launch have shown the Torx screws. This makes us think that Apple scrapped Torx screws at the last minute or something along those lines. Update: AppAdvice is now reporting that newly purchased iPhone 4 units are now including the anti-tampering torx screws. This means that Apple is not only replacing the screws on iPhone 4s taken to get serviced and replaced but is now putting the new screws on brand-new devices. Update 2: It appears that these are not actually ‘torx screws’ but are in fact something else. They look very similar to torx screws and are built to be difficult to remove. The essence of the story still stays the same as Apple is changing their screw design to be more difficult for users to remove.